This is a sweet and light drink that is perfect after a nice barbecue or on a summer night. The sous vide infused orange-vanilla vodka is combined with fresh orange juice and some half and half to replicate the childhood favorite of a creamsicle. You can adjust the amount of orange juice and half and half for a stronger or weaker drink, whatever you prefer. Even though this drink is already pretty sweet many people like the addition of some whip cream on it to really push it over the top. 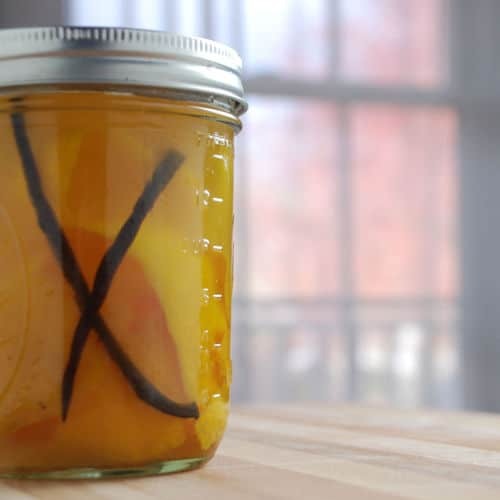 The sous vide infused orange-vanilla vodka can be made ahead of time and stored in the liquor cabinet or refrigerator for several weeks. 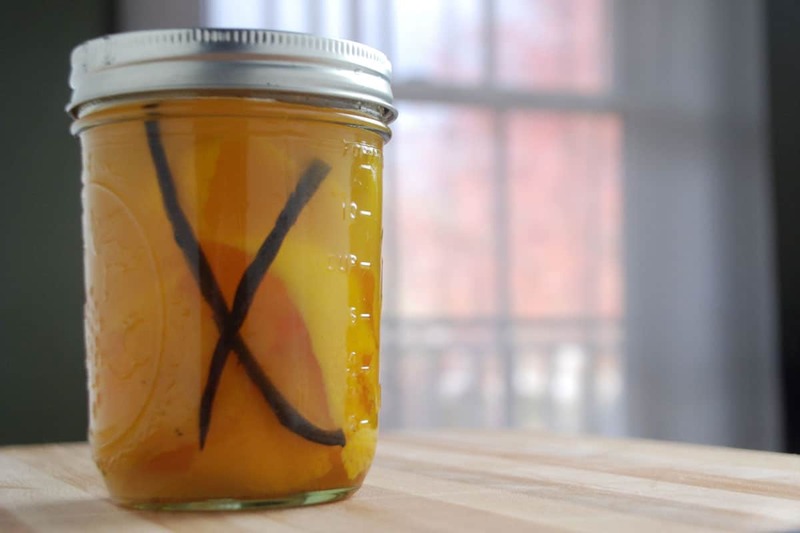 If you would like more information about the modernist techniques, ingredients, and equipment used in the vanilla orange infused vodka recipe you can check out the following. Lightly scrub the outside of the oranges then remove the zest with a vegetable peeler. Make sure little to no pith came off as well, using a paring knife to remove any. The orange pieces can be reserved for garnishing the drink. Split the vanilla bean in half. Fill a cocktail shaker with ice. Add the orange-vanilla vodka, orange juice, and half and half to the shaker. Shake vigorously for 15 seconds, until everything is combined well. Strain into a martini glass and garnish with an orange slice. For a really playful presentation I like to make a creamy orange foam to top the drink. Place 1.5 cups orange juice in a pot and add 3.5 grams of gelatin, or about 2 gelatin sheets. Let the gelatin bloom for 5 to 10 minutes. Once bloomed, heat the pot over medium heat while stirring until the gelatin dissolves. Remove from the heat and stir in 1/4 cup of half and half. Pour the mixture into a whipping siphon, seal and charge it fully. Place the siphon in the refrigerator for at least an hour or two to let the gelatin set completely. The foam can be stored in the refrigerator for several days. Dispense the foam on top of the creamsicle when serving.